METTLER TOLEDO floor scales and heavy-duty scales are suitable for industrial applications in a variety of industries including food, chemicals, pharmaceuticals, manufacturing, transportation & logistics, and more. 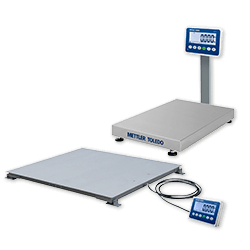 METTLER TOLEDO floor scales follow in the vein of our world-renowned portfolio of scales and balances, offering accurate and reliable weighing systems for wet and dry industrial environments. Whether your process requires portability for flexible use, hygienic design for fast and easy cleaning, or rugged construction to accurately weigh heavy freight, METTLER TOLEDO has industrial floor scales for sale to meet your specific needs. Our entire line of industrial floor scales is tough enough to provide you with years of worry-free weighing. They are designed to meet your process requirements with the accuracy you require while providing a safe weighing and cleaning experience. Additionally, our portfolio of floor scales includes the economical industrial basics line. Industrial basics scales offer you reliability at an attractive price when you need a simple industrial floor scale that meets your budget requirements. Complementing our industrial floor scale models are our pallet, pallet truck and mobile scales. 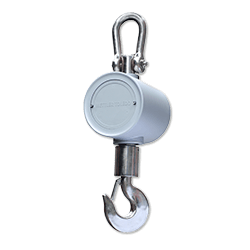 These entries into our industrial-scale line offer reliable weighing for your heavy items while allowing you to take the scale directly to where you need to weigh. This flexibility allows you to weigh just about anywhere to enhance your productivity and cost-savings. 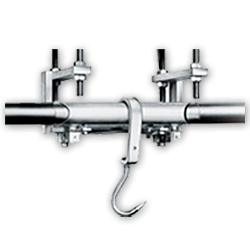 Easy to load and clean, they are built to last and ensure years of accurate weighing in your harsh industrial environment. Finally, we offer our rugged and reliable overhead industrial scales. These customizable industrial scales meet the specific requirements of your process to provide you with reliable and precise overhead track and monorail weighing for rapid high-capacity carcass processing—even when conditions are harsh. 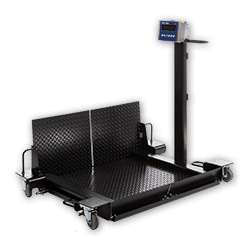 Additionally, these overhead scales offer easy assembly to round out our robust, high-performing industrial portfolio alongside our floor scales and mobile/pallet-scale offerings. 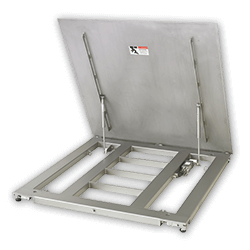 Rugged and flexible for heavy-duty industrial weighing, our floor scales ensure your process requirements are being met—safely and accurately. Easy assembly and It can not cut the bearing track. In all industries, accurate weighing is essential to ensure continuous adherence to predefined process requirements and to avoid a frequent source of Out of Specification results (OOS). This paper introduces GWP®, the science-based global standard for efficient lifecycle management of weighing instruments.